PANDA There are no products in this category. Large 100 gram balls. 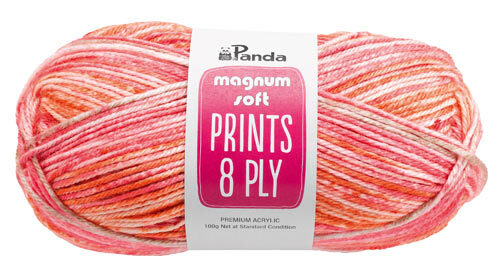 The firm family favourite 8 ply. Perfect for durable, colour intense garments and crafts. 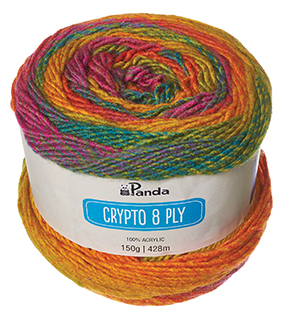 So fun and squishy, Crypto cakes by Panda will quickly get your creative projects buzzing with colour. A premium, super soft, fine denier acrylic 8 ply. Now available in colourful prints. A premium, super soft, fine denier acrylic 8 ply.